Always have a backup, that’s the advice we constantly received from loved ones and those that really care. This is because we sometimes tend to lose our valuable files either in our PC or phone. Sometimes something can go wrong on our PC or we can even unintentionally format our phone leading to complete loss of files and data. Well, not everyone follows the advice of a backup and we all in one way or another have lost important files either in our personal computer or smartphone. 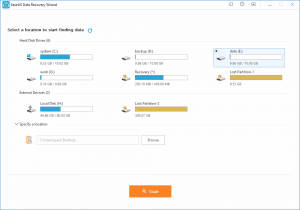 This is where data recovery software comes into the picture and here we will show you the best and free data recovery software for PC free download full version with guides on how to use them. 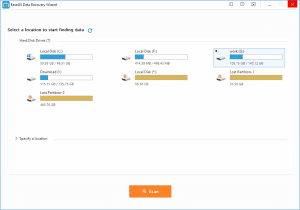 One of the freest data recovery software around is the EaseUS Data Recovery Wizard Free for PC and in this article, we will be looking at this software including everything you need to know about it and the link to download the software for your personal computer. 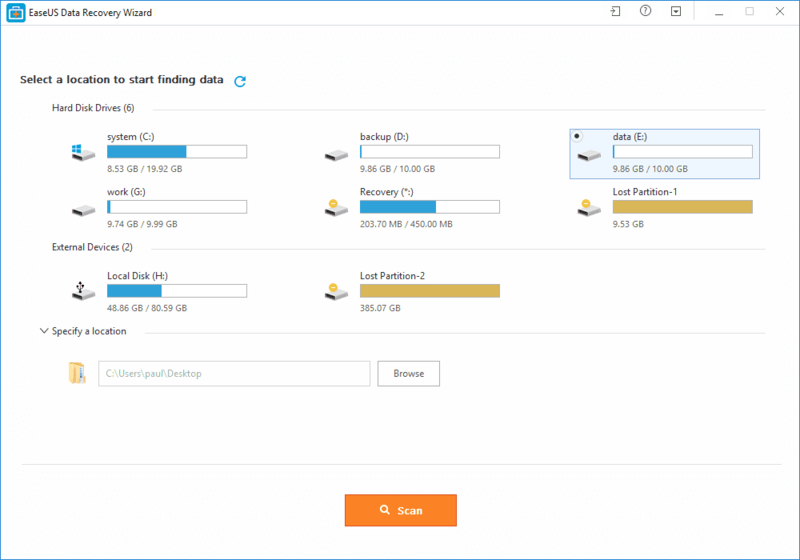 The EaseUS Data Recovery Wizard is a PC software that you can use to recover lost files, data from your hard drive, USB drives, memory cards, and other storage devices. 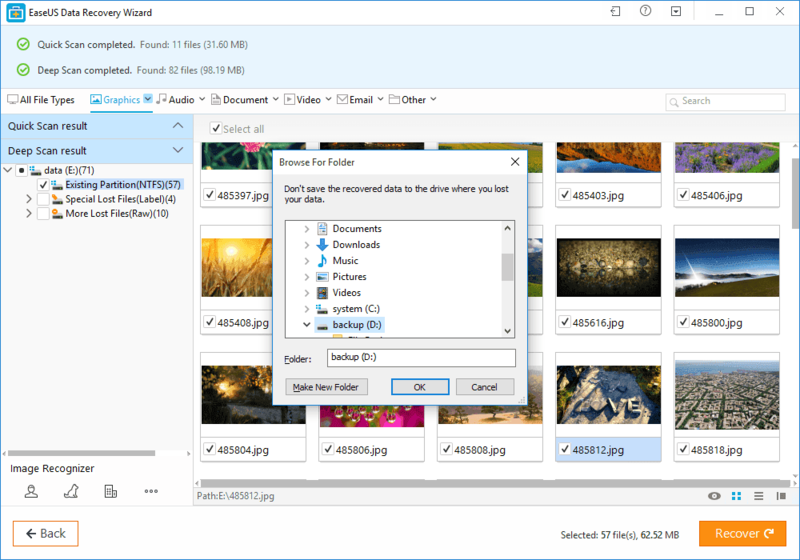 You can use it to recover lost files such as pictures, documents, videos, and more from deletions, formatting errors, partition losses, OS crashes, virus attacks, and many more. The most exciting thing is that the software can still scan results by files and filed deleted even if you have emptied the recycling bin on your PC. Other features are the ability to recover files even after a system crash. EaseUS promise to provide a downloadable WinPE bootable media allowing you to boot your PC and recover your files again. After installing the software on your PC it’s only going to takes you a few clicks to successfully recover your lost files. The process is easy and everybody can do it including you even if you are not a tech geek. It’s a straightforward process, all you need is your PC, laptop, hard drive, SSD, USB, memory card, digital camera, etc and you are set. Other Files such as Archives, exe, and others. The specs required to install the software is only 32MB and make sure your PC has at least 1GHz(32bit or 64bit) CPU and 128MB of RAM. First of all, open the software on your PC and select the location of the lost file. 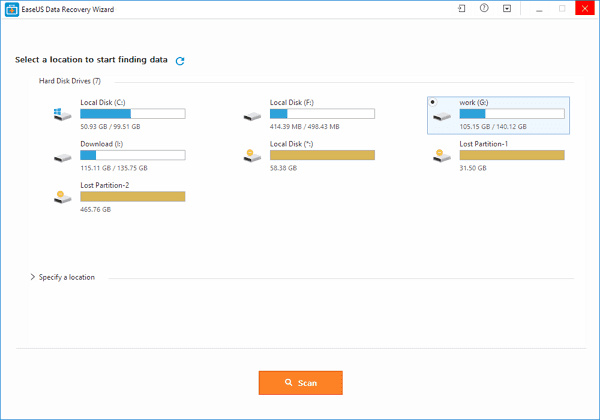 If it’s on your Desktop, Libraries, or Documents you choose, you can also select the hard drive, partition, or external storage device. Note: If you select an external device, make sure the device is connected to the PC via micro USB cable. After selecting the specific location of the file or data that you want to recover, clicks on the scan. 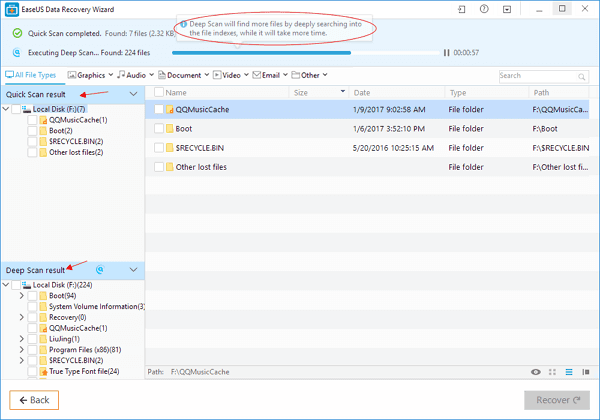 The EaseUS Data Recovery Wizard’s quick scan will list all files in the selected location that was deleted and emptied from recycle bin. 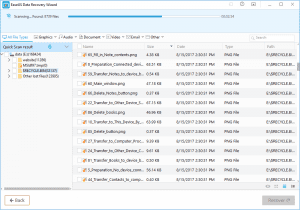 A deep scan will automatically begin which will detect and find many files by searching thoroughly the entire data field of your storage device. The deep scan will take a longer period of time to complete so you have to be patient. 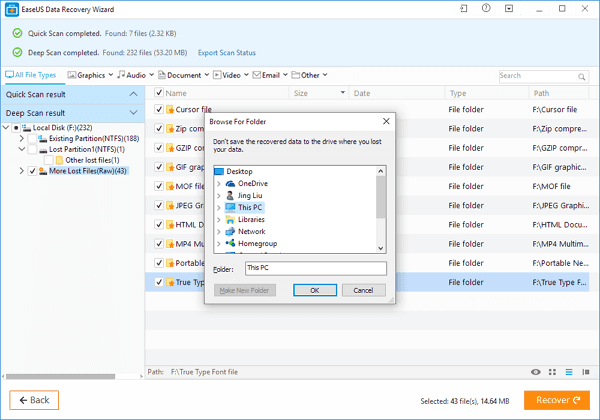 After the deep scan is complete, you will be allowed to preview all recoverable files following a scan. After that, you can now select important files that you will wish to recover. Note: Save the recovery files to a different location, don’t save them on the same external SD card or hard drive where you lost the data from. 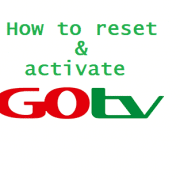 First of all, you will have to download the software Here on your PC and follow the instructions below. 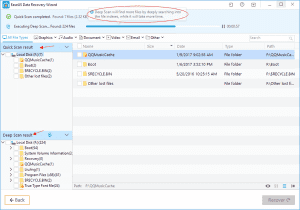 Step 1: Connect the memory card to the PC, open or launched the free memory card recovery software and select the card you want to recover files from and click on Scan. Step 2: The software will then scan to search all the files on the memory card. After that, it will now initiate a deep scan that will find many more files which will take time to complete. Step 3: When the scan is complete, the software lets you preview files like pictures, documents or audio. Select the files you want to recover and click on Recover to get them back into your memory card again. 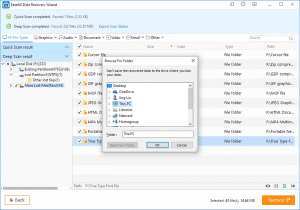 After that, save the recovery files on your PC or another Disk to avoid data overwriting. That’s all. 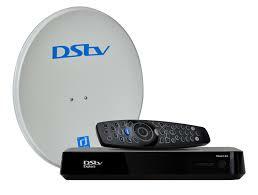 TSTV Channels 2018 List, Frequency Symbol Rate And Subscription Prices. 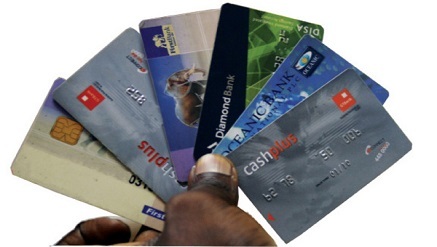 How To Block All Bank ATM Card In Nigeria If Stolen Or Lost.